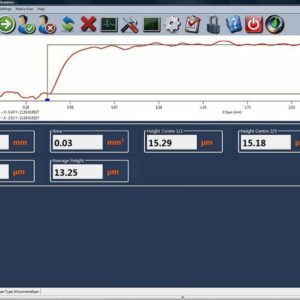 LineScan is a specifically developed software that makes Proscan 2100 into an automatic measuring station for any thick film/paste on any substrate. The set up is easy via an alignment camera and the system can scan in both X and Y. The software calculates the height and cross section area of each feature to very high accuracies and shows the result graphically and saves the data in a CSV file. 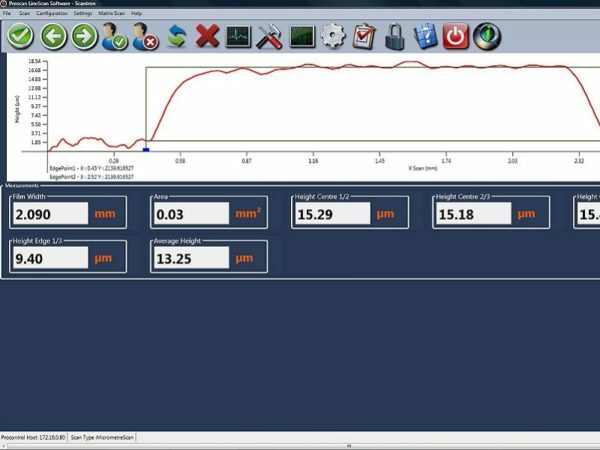 This scanning software can also be used for any repetitive or multiple components in a tray or fixture.